Shingles that are cracked, torn, curling on the bottom, and have heavy loss of grit or granules may all be signs that the roof is approaching or has reached the end of its life cycle. The older shingles become the less pliable them become, brittle shingle are easily cracked or torn. 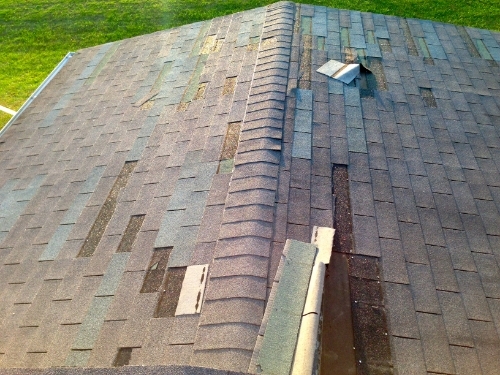 In come cases the shingles may curl or lift up on the bottom due age or excessive heat from lack of attic ventilation. Dark stains or streaks on the roof can be caused from several things including algae growth, fungus from lack of sun light on roof, and even environmental pollution. Missing shingles are most often result from high winds that have blown shingle off or from shingles that slide off from improper or inadequate nailing. The first is an act of God the second is poor installation technique. Stains on ceilings and/or mold or mildew growth are most generally caused by leaks in roof but it is not alway the case. Moisture problem lower on the exterior walls of home or building may be related to clogged gutters, missing siding, unsealed masonry, or even pluming issues. Roof shingle, sheeting, and siding decay may be a result of poor attic ventilation. Too few vent can allow a build up of excessive heat and moisture in a home can cause many problems from high energy costs to blistering or peeling paint on exterior of home. Roof Leaks only after a driving rain may be a result of deteriorated or absent flashing around walls, dormers, and chimneys. Masonry walls must be counter flashed correctly or they will most certainly leak. Leaks on sections of roof that are fairly flat may be caused from inadequate pitch or fall of roof. Roof shingle need a 2/12 pitch at a minimum to function correctly. Contrary to popular belief shingles are not water proof, they shed water but can become saturated with moisture when water stands on shingles from lack of fall. 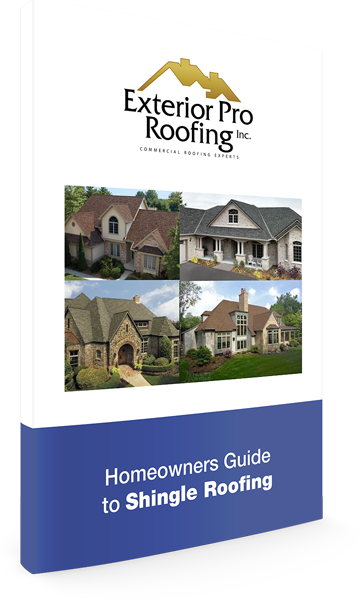 Learn the important components every shingle roof needs and the price points for different styles of shingles.